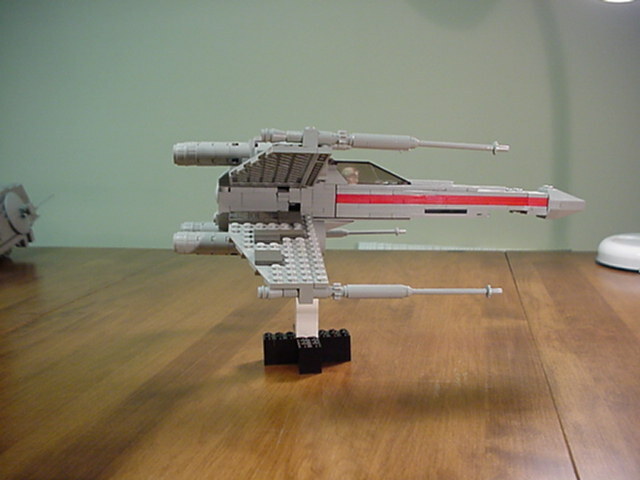 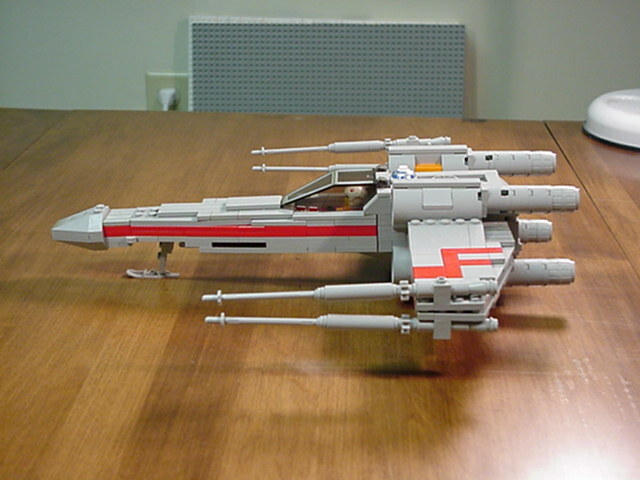 What started one night as a test to see how big an X-Wing 'should' be turned into an attempt to get a nice version of a minifig-scale X-Wing fighter. 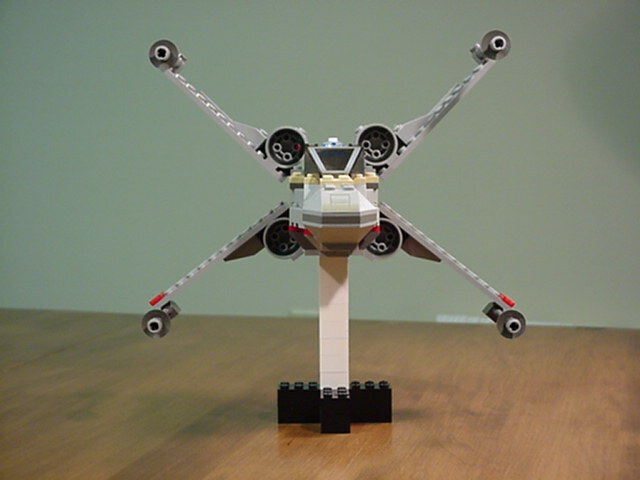 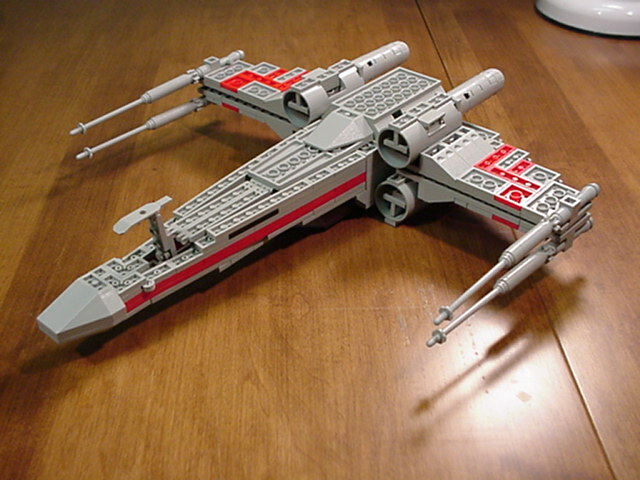 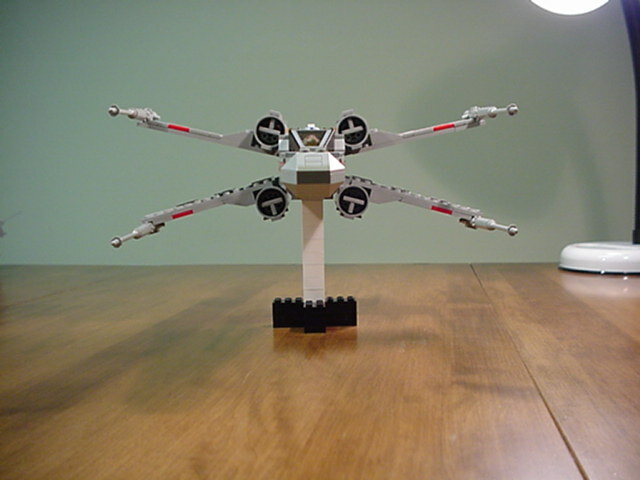 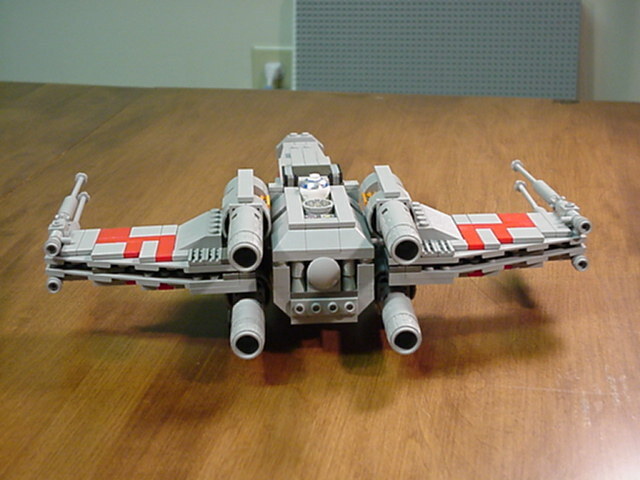 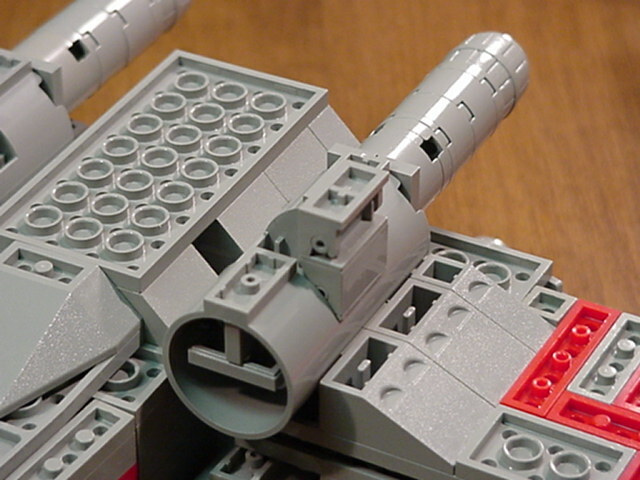 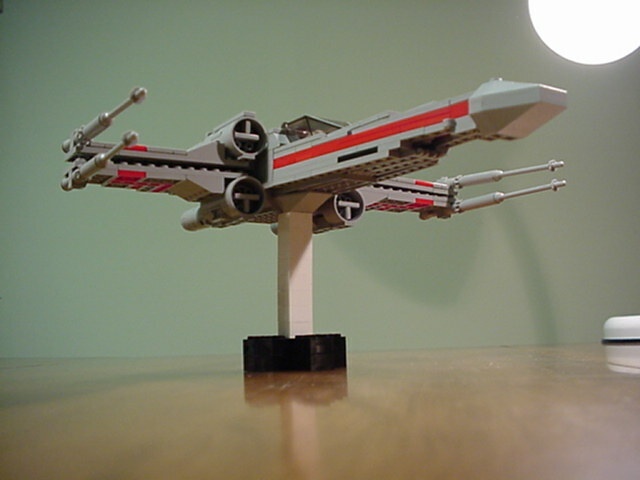 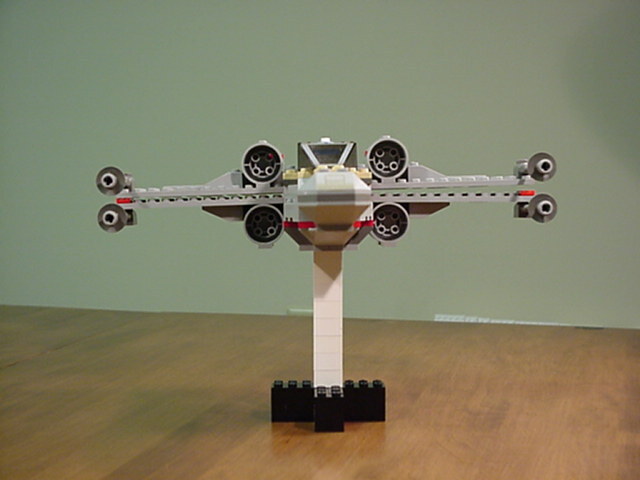 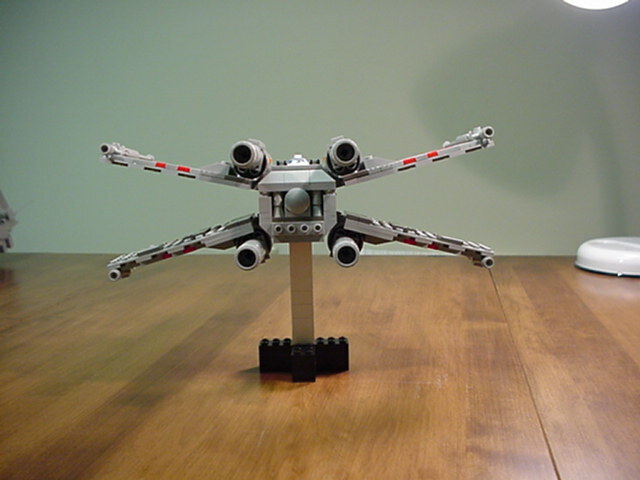 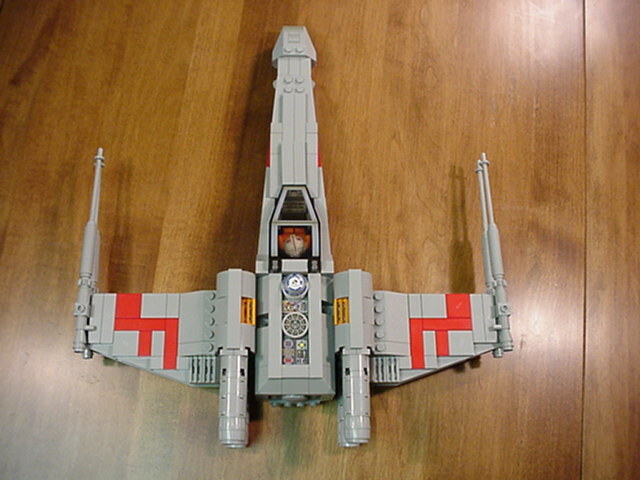 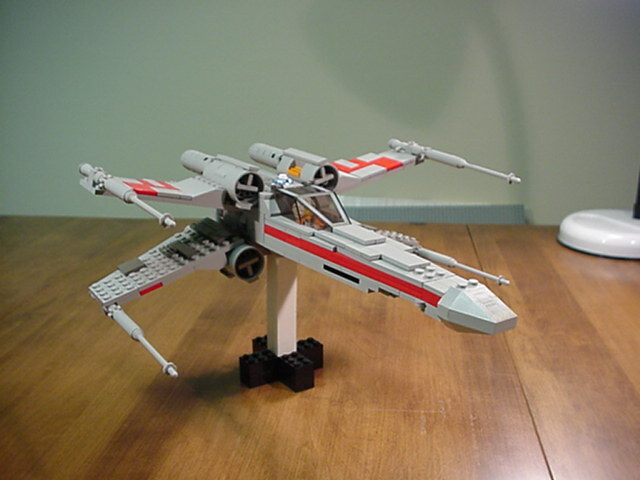 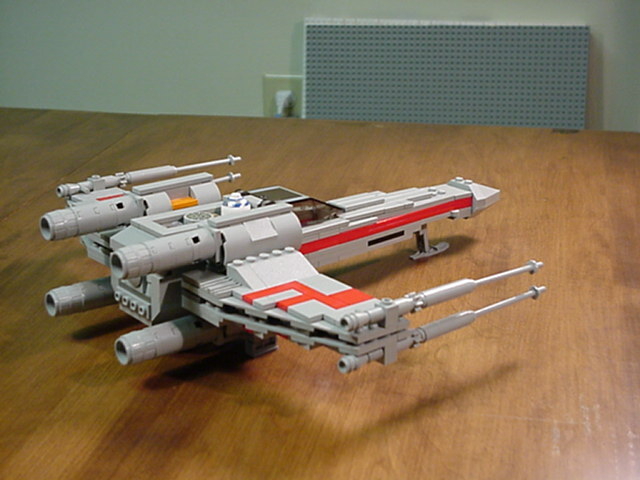 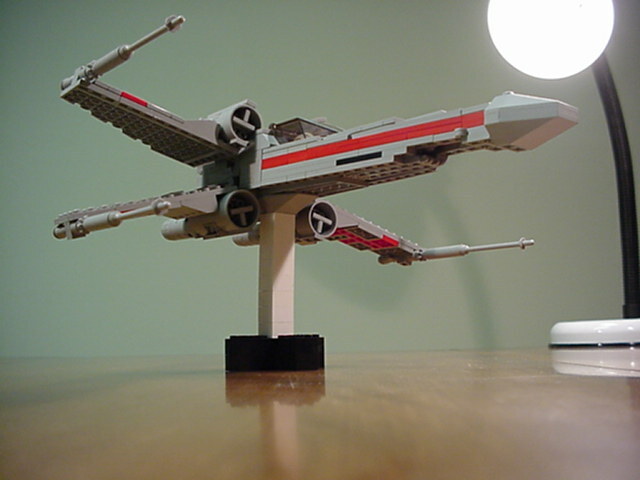 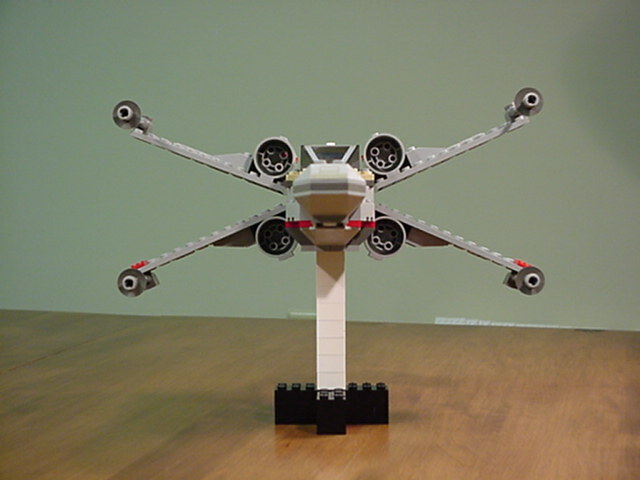 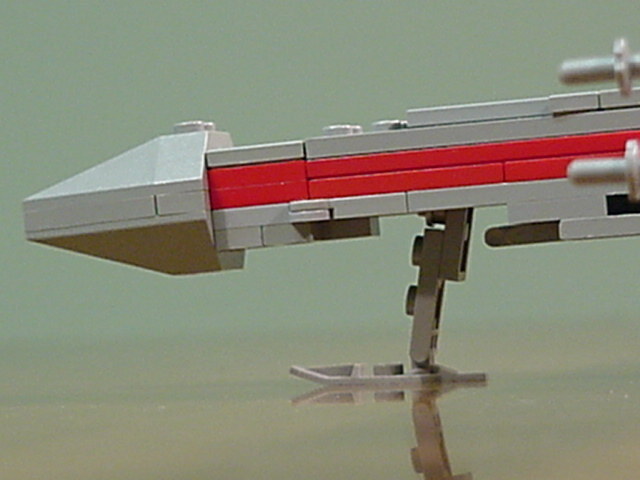 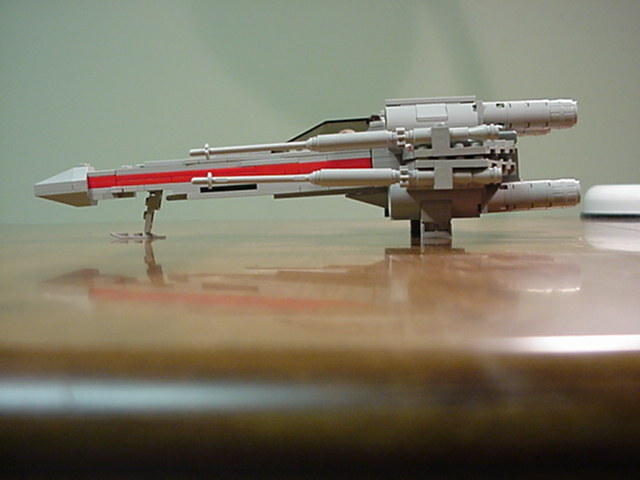 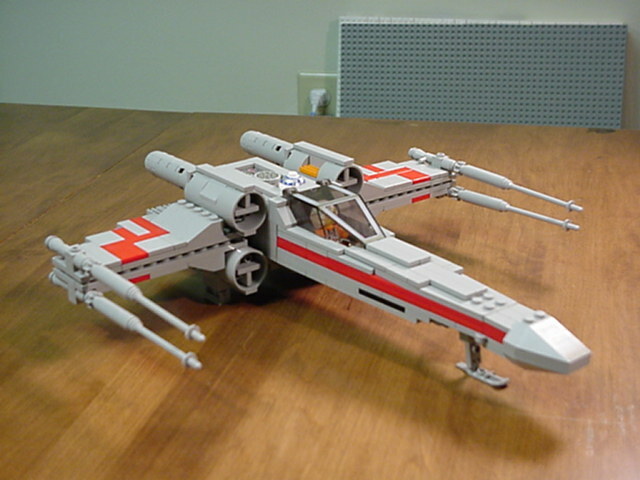 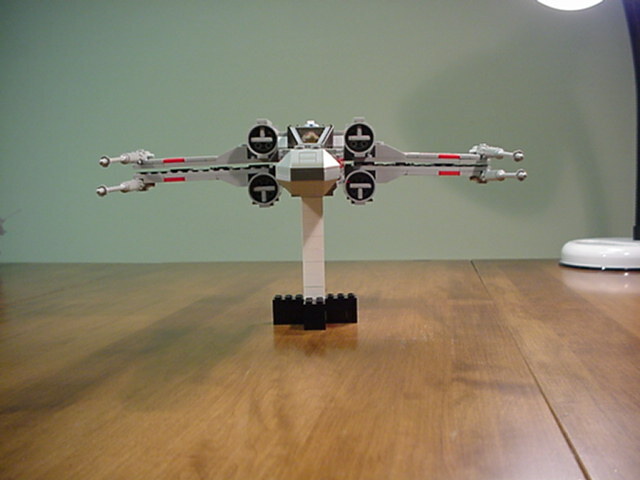 One thing that mildly bothered me about the Lego model of the X-Wing is that when extended, the wings have no "gap" between them where they meet the body. 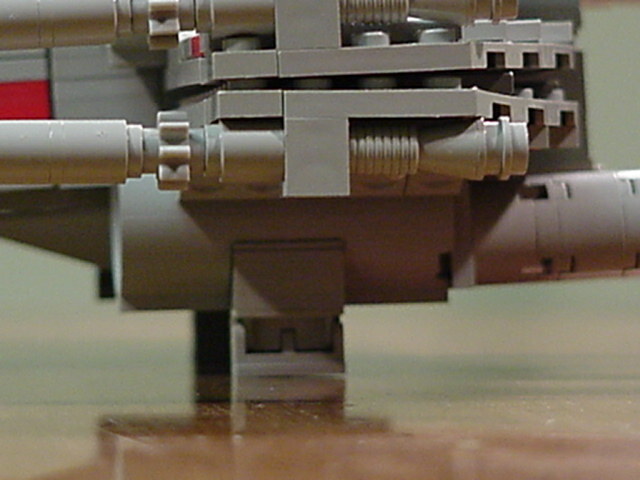 In the real production models for Star Wars, a small gap is seen between the wings when they open, since (apparently) opposite wings are attached to a central pivot point inside the body. 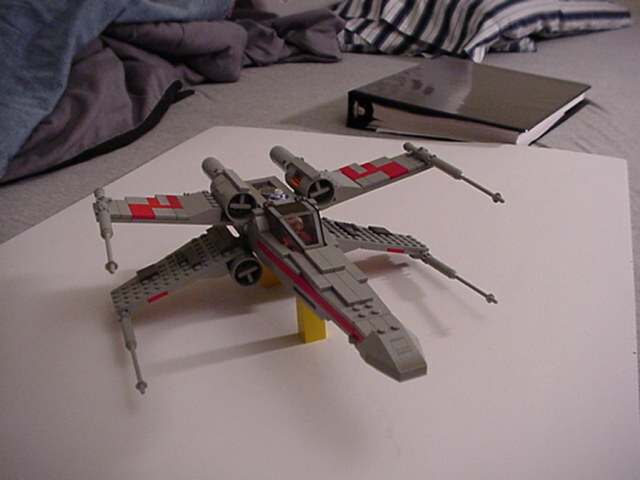 Hence, I duplicated this in my model-- so moving one wing will move its opposing counterpart.